I am staying near Meiningen, a small town in the southern German state of Thuringia, and went to the market (as one does!). 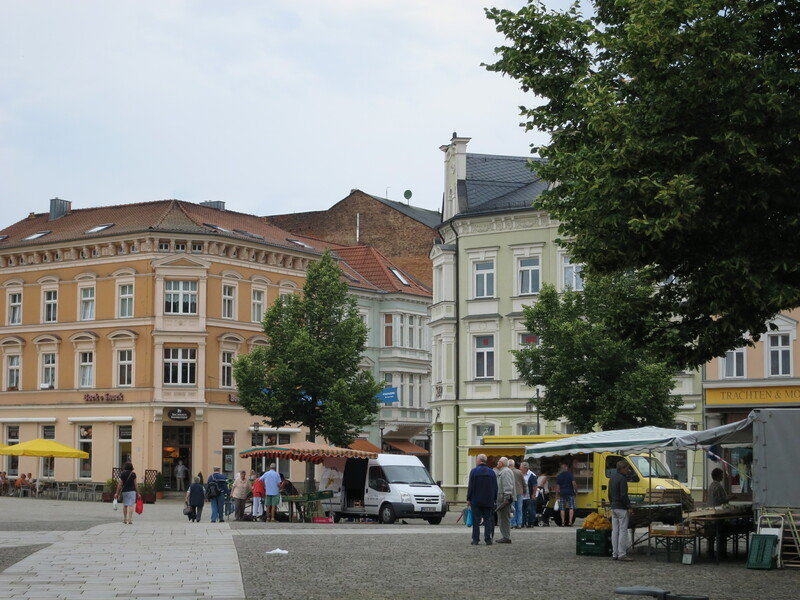 The market is mostly mobile food vans – 3 selling Bratwurst (sausages), 2 bakers, 1 butcher, 2 fruit and veg and 1 selling garden plants and shrubs. 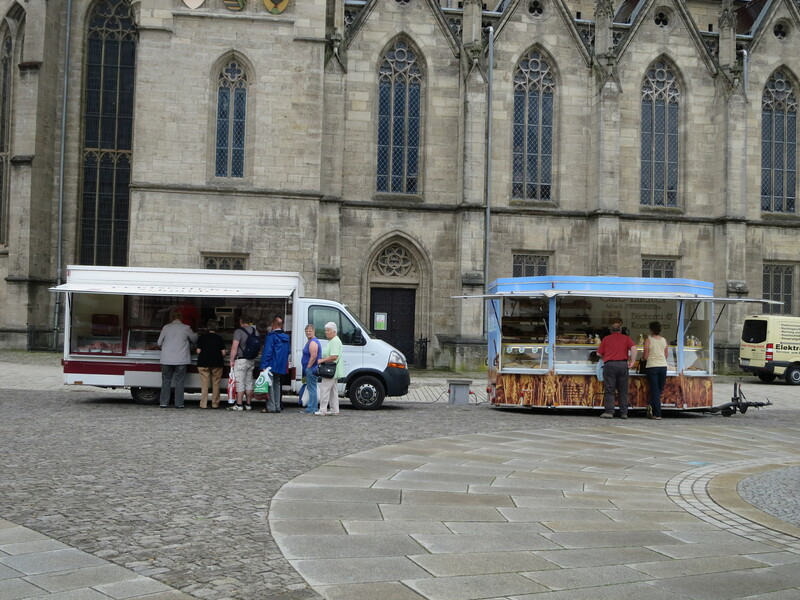 There is a steady stream of business as people – a mix of ages but mostly older people – queue for the quality food. The market is in an old market square and runs three days a week (Thursday, Friday and Saturday morning) – it’s relaxed – and small, local businesses cater for most of the basics and there’s not a supermarket in sight.